• 12:15pm: Passenger interaction and sailing experience. View iconic sights in our Harbor including Georges Island, Halifax waterfront, Dartmouth, and more! There is a full cash bar on board available to any guests over the age of 19. 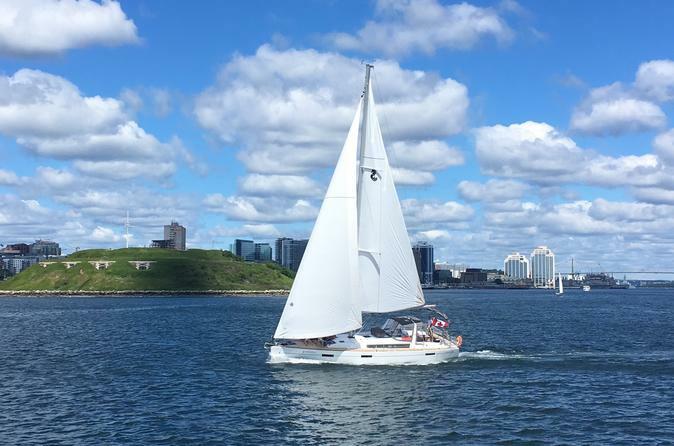 • 1:45pm: Dock downtown Halifax near great places to shop, wonderful restaurants, as well as other entertaining tour options!